ST DONAT Trópusi lagúna furmint 2016 - Boromidd! This gorgeous sunshine-ready white wine is made from Hungary's most famous grape variety, Furmint. It's part of the St Donat winery's "Soil Stories" range, which aims to showcase the unique terroir of the Lake Balaton region - one of the most beautiful places to visit on earth. In this case, Tropusi Laguna translates to "Tropical Lagoon" and references the days when dinosaurs roamed along the lakeside in the Jurassic period. During this time, volcanoes erupted and laid layers of mineral volcanic soils that today contribute to the fresh, mouth-watering quality that can be found in the region's white wines. 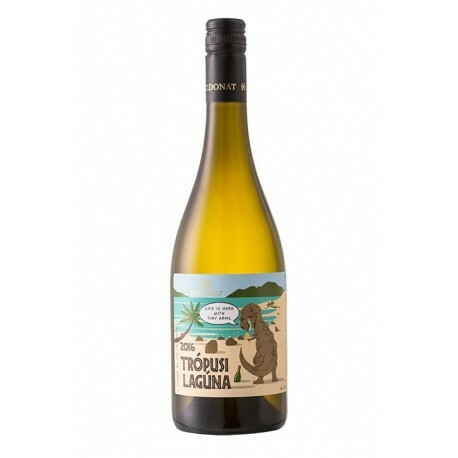 Not a far cry from Chardonnay with zingy orchard apples, pineapple, flavours of pear and kiwi fruit. Partly barrel-fermented, adding body and texture. 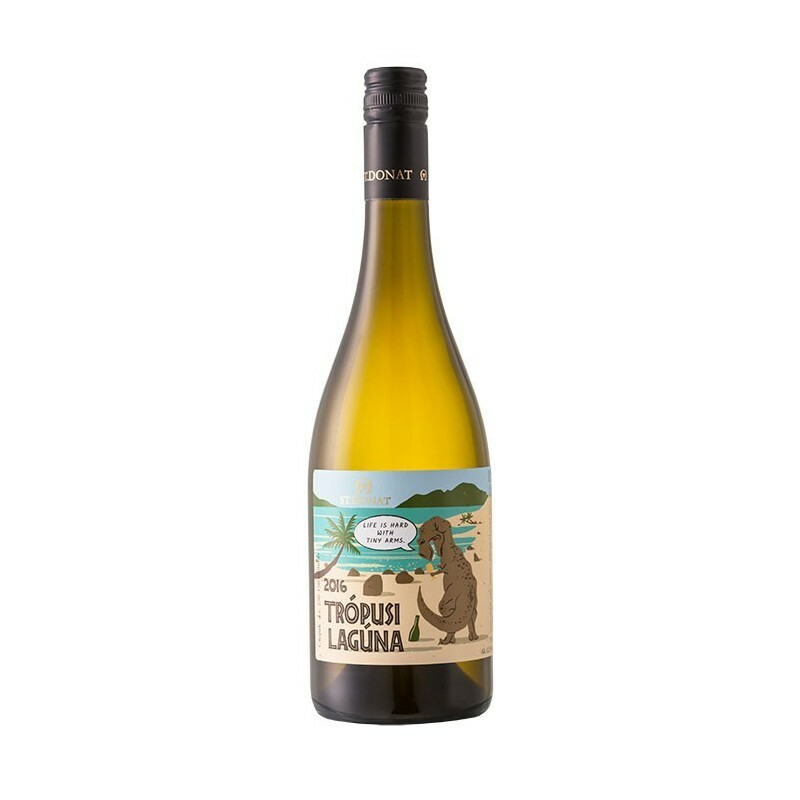 Pairs beautifully with: Roast chicken, avocado salads, fresh trout, omelettes or light spicy dishes.